We do not know anything about the manifestations of grief save through sharing. 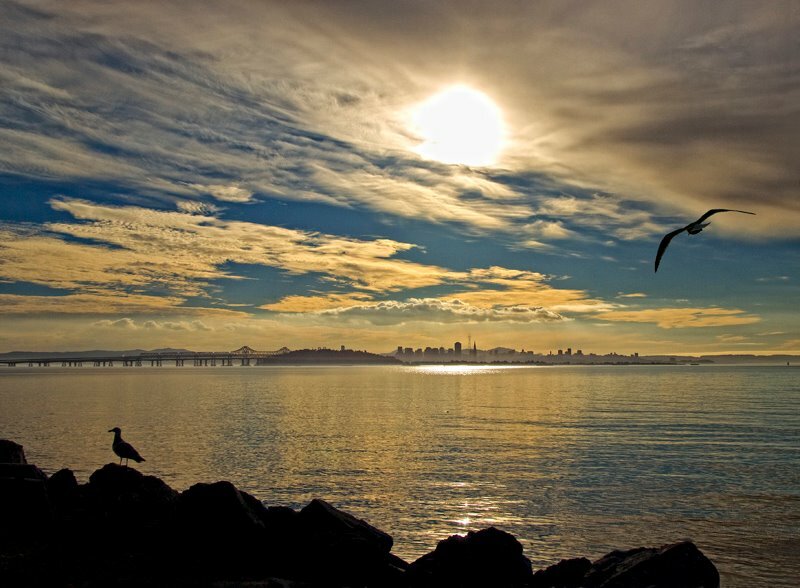 Most sharing in life is done by talking, but that offers problems (to the understanding). Human beings are often competitive, and will attempt to outdo one another. The grieving person, much like the mother evaluating childbirth just passed or the sick person analyzing his or her own illness and suffering, may have to fall back upon other personal experiences. In other words, an individual is often compelled to compare his/her feelings at one point in life with his/her feelings experienced at another point in life, and disregard all other testimony. So I write these words to help myself and help anyone who might find comfort in them. Someone dear to me, a second mother for many years, has died. Her death has shattered me, just like my own dear mother’s death. 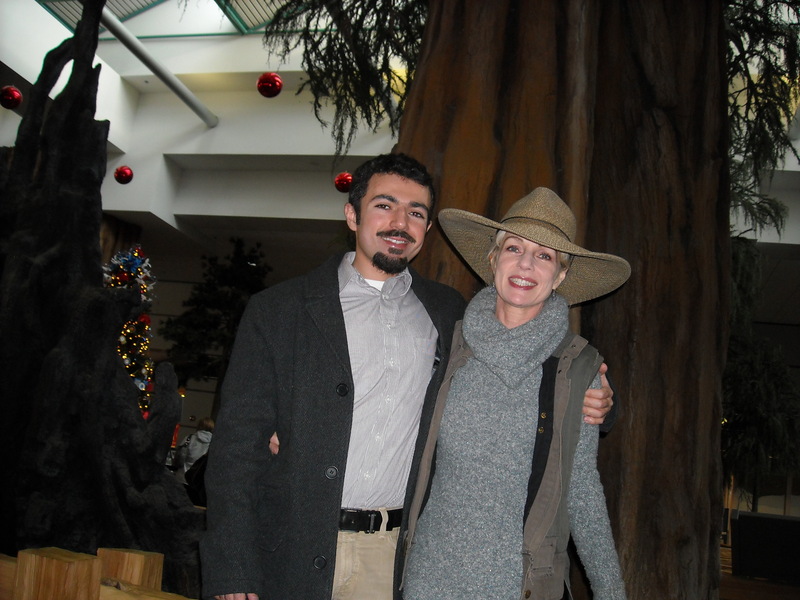 I lost my mother to an aneurism of the brain on Valentine’s Day when I was only 25 and she, 46. I flew to San Francisco to be by her bed. Later I found she was struggling to accept my conversion to Islam and marriage to a Saudi, for she was reading Robert Lacy’s The Kingdom: Arabia and the House of Sa’ud. Now I have lost my ex mother in law, Mama Juwaheir, a Saudi woman who died at a date a few days removed from my mother’s death date. I had no idea of the irreversible nature of Mama Juwaheir’s recent illness until I received the blow of her death. While I have been divorced almost a dozen years, I have visited Mama Juwaheir almost every summer since leaving my marriage. It was she who became my comfort and who showed, in so many ways, that she loved me. Through loving me, she made me love her back unconditionally, as I did love my own mother. In the aching of the days following death of such beloved people, one wants nothing so much as to talk to them. Throughout the day, like the fasting person who forgets he or she is fasting and thinks about food, I yearn to speak to her. I feel like I am writing these things into a deep but narrow hole into the universe, for to say such things to Mama Juwaheir’s real children would be to usurp their positions. Their grief MUST be greater than mine, and I respect that. I will deal with my grief, God willing, as best I can and thank the Creator for allowing me to have such a splendid person in my circle of loved beings. I miss her every hour upon the hour and do pray for her to be in the shade of the Throne. Someone once attempted to usurp my grief, when my mother died—a young woman, former friend, who made out to be suffering more than I, her daughter. The callousness of this former intimate made my skin crawl and the ugliness of its memory haunts me still. God forbid it should be my sin. May God bless Mama Juwaheir and bring comfort to her family. When Connie and I started this blog, we were aware that having an online presence was de rigeur for a writers. We wrote about our individual interests as we still do, though not as frequently as when we started. (Perhaps that should change; I don’t know!) For two writers who are close friends and depend on each other as much as we do, our interests couldn’t be more divergent–as you can see–since we appeal to basketball fans, Elvis fans, women who are thinking of marrying Saudis, and of course people involved in the literary world. The “best” blogs are far more focused. They do the kinds of things that were recently discussed in an article put out by Publishing Perspectives on the relationship between tweeters, bloggers and publishers: the best blogs deal with topics that are very specific, which will instantly become trendy and develop a stream of focused interest from the public ( like being a woman who is past her “hot” years). The question for anyone, especially other bloggers, is do you want to do what’s “best”? I would rather follow Tony Bennett’s advice to his daughter and do what I like. Trying to figure out what will be trendy two minutes from now is guaranteed to give me angst and I already have Gerd and other less polite-to- mention ailments. My own interests diverge and if that means I will never write a smash hit book aimed at people who have been following my tweets about how to get even with the third grade teacher who tortured my younger son and left me forever bitter at her conniving duplicity, then so be it. This blog keeps up the minimum requirement for two writers: we have an online presence, sell our books at a profoundly relaxed pace (ha ha ha) and give anyone diligent enough to find us a way to contact us. I don’t know about you, but for me, being a writer really limits my time for pleasure reading. After sitting behind my computer, writing for 4-6 hours per day, my eyes and mind are pretty tired of staring at words. But every now and then, a book’s synopsis strikes me as irresistible. That was the case for King’s latest, 11/22/63. Science fiction has always been one of my favorite things. I’m a Star Trek geek. I loved (and still love) all of those series except Deep Space Nine, which I found, um, boring. The Star Wars moves are among my favorites. And the recent Battlestar Galactica series was, well, out of this world fantastic. None of these gems, however, managed to top my obsession with ABC’s LOST, which, while not science fiction, did make use of one of that genre’s most popular topics: time travel (albeit with a twist). And so, when I read a review of King’s 11/22/63, I knew had to indulge. I’ve been a Stephen King fan for decades. Even back when critics used to pan his books and his writing skills. The Rule of Law for many critics seems to be, if a writer does genre writing, he’s a hack. I’m sure King had a good laugh about their conclusions while en route to the bank with another colossal check in hand. I could actually use this post to rant on and on about why I believe King is one of the best writers of our time, but for today, I’ll just move on to my review. Katie sent me 11/22/63 for my birthday in mid-December. I knew it was a very lengthy affair along the lines of most King books, but looking at this mammoth in hardcover form, a staggering 849 pages, I decided to set aside a reading schedule of at least an hour per day every day, starting immediately after I finished working on my own book, which is usually about 3:00 p.m. This method actually worked very well, and I am happy to report I finished the book last week (I did take a week off over the holidays due to company, etc.). I can’t recall the last time I’ve read any book, for writing-related purposes or just for fun, where I could stop myself from analyzing the author’s style and technique, and thus it seems fitting for me to center my review on those issues. (If you want to read a critical review centered on plot, I’m sure there are hundreds floating about the Internet to choose from.) 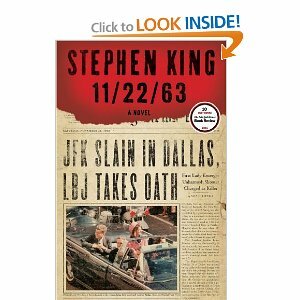 King’s style hasn’t changed all that much over the years, but I did notice a few “wow” moments along those lines in 11/22/63. Most notable, he addresses the reader directly now and then. Phrases such as, “Now, I know what you’re thinking.” I had to read it a couple of times to make sure that’s what he was doing. And yes, it was. And I am totally impressed. He doesn’t do it all that much, but when he does, it just feels like the perfect moment for that slight author-to-reader interruption. This is also the first King book I’ve read where he writes entirely in first person. I’ve written in third and first person, and I can say without pause that first person is much more difficult. It’s a point of view factor. If you start writing in first person, you have to stay that way all through the book, which can be quite a challenge when writing a mystery or suspense novel because your narrator can only be in one place at one time and cannot (I repeat cannot) know what other characters are thinking. There were a couple of spots where King took liberties on this, but only a couple so I will give him a pass. Overall grade of point of view: A-minus. The next thing I look for is overall quality of the storyline. If there is one downside to most of King’s books, it’s that they always seem to stall in the middle. Perhaps this is because he usually has so many characters, and he wants to keep us up to speed with all of them, so he does. Too many characters isn’t an issue in 11/22/63 (probably a direct result of the first person narrative), yet the book still stalls a bit around the halfway point. That’s partly due to what’s going on plot-wise, but more so because (I believe) King just decided he was having fun throwing a romance into the middle of his book so he went with it. End result, there is too much Sadie for my taste, too much time spent on his relationship with both her and the small town where he takes up temporary residence while waiting for time to catch up to where it needs to be so he can carry out his plan, which, if you didn’t already know, is to stop Oswald from killing Kennedy. Nonetheless, the Sadie business is but one small pothole in the road on an otherwise smooth, A-plus journey. The last point I always look for in a novel is whether the ending works, and if so, whether its theme stretches beyond the limits of the book itself. In other words, has the author hit on something that provokes a general discussion outside of what happened between the pages of his work? In the case of 11/22/63, that answer is a definitive yes. You know how in It’s A Wonderful Life we are encouraged to think about what the world what be like if we never existed. Well, with 11/22/63, the question to ponder is, would robbing the past of a horrendous event alter the future for better or worse? King’s book has an interesting answer to that, one I’m still thinking about. Well done, Mr. King. Very well done indeed.